Yunnan black tea falls into the category of Gongfu black tea, which means it requires a lot of Gongfu(work/tea making process) to make this tea. This tea has a very thick & mellow taste, but without any bitterness; A standard Yunnan black tea for you to try. This premium Yunnan black tea is directly from tea base of Yunnan Fengqing Dianhong Tea Factory, which is famous for producing the highest quality Yunnan black tea. When Her Majesty Queen Elizabeth II visited China in 1986, Deng Xiaoping-the chairman of central military commision of China, sent the black tea from Dianhong tea factory as a gift to Queen Elizabeth II. Yunnan black tea is well-known for its high freshness and sweetness. For such high quality, it has little or no astringency at all; hence there is no need to add some sugar or honey to compensate the astringency; but still, if adding some pure milk, then the taste is more smooth and mellow. I will never forget the mellowness of this milk tea. For this kind of Yunnan black tea, since its buds are not as many as the imperial ones, its taste is not as delicate as the golden buds, but its infusion times are more. 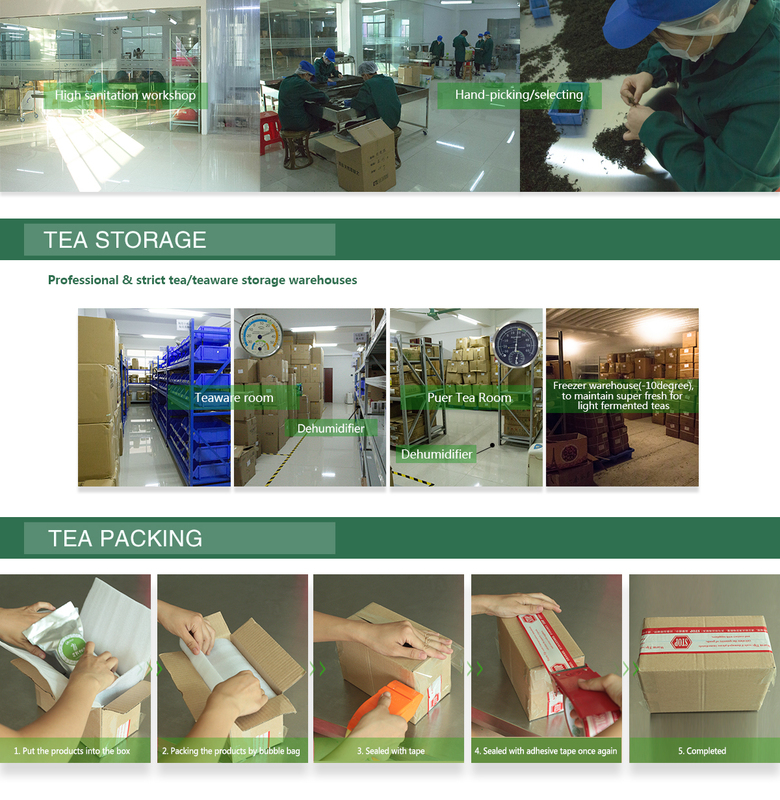 Yunnan black tea follows only the best picking and processing standards and as such it is most preferred. The premium grade Yunnan Black Tea contains a high ratio of golden buds mixed with bloom chocolate colored leaves, which gives the tea liquor a bright orange color. The picking standard is always 1 bud with only one or two adjacent leaves each. The buds are manually picked and made into plump bud shape with tight leaves. The tea master after carefully picking the right buds must then lay them to air for at least 3-5 hours. He then fries the leaves to remove excess water, wraps the tea in fabric and places wooden boxes over the buds to keep them warm. This helps oxidize the tea in a natural way. 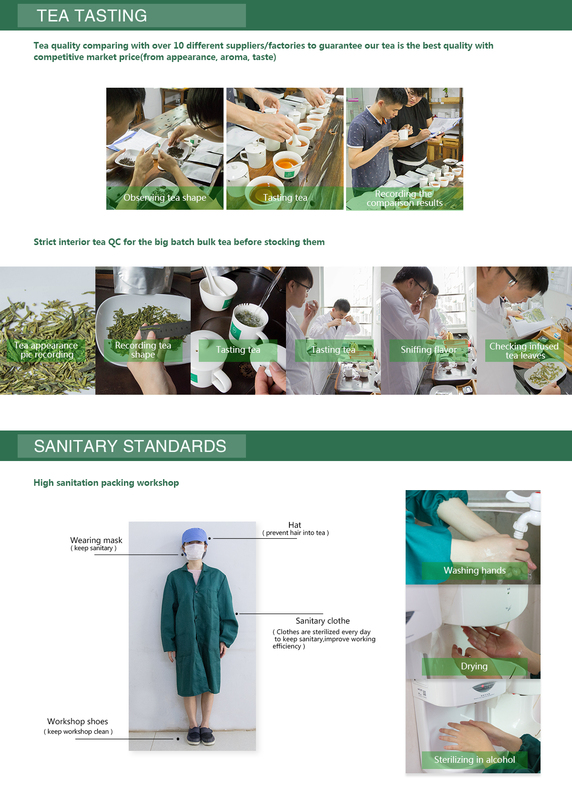 He will continuously check the tea by squeezing and smelling it to see if the process of oxidization is complete. This is a very important step as it ensures the tea develops its aroma but remains sweet. No pesticides, herbicides or fertilizers are used. The basic rule of thumb for the Yunnan Black Tea is the longer you leave this tea to infuse, the stronger the taste and color. To brew about 12 oz. tea pot, add boiling filtered water and use at least 1Tbs of tea leaves. Infuse for 3 minutes minimum (actual time depends on how strong a taste and color you require). The leaves are good for six more infusions. You may add a little more time for each subsequent infusion. This Yunnan Black Tea contains fewer levels of antioxidants than the normal green teas because it is naturally oxidized. However, the little it contains will still help reduce the risk of cancer and delay aging. This black tea helps prevent tooth decay. It also lowers cholesterol levels in the blood. Because of its high quality, it has little or no astringency hence there is no need to add sugar or honey. This tea is really delicious and relaxes me every night before bed. Nothing to not like this at all. Definitely recommend it.